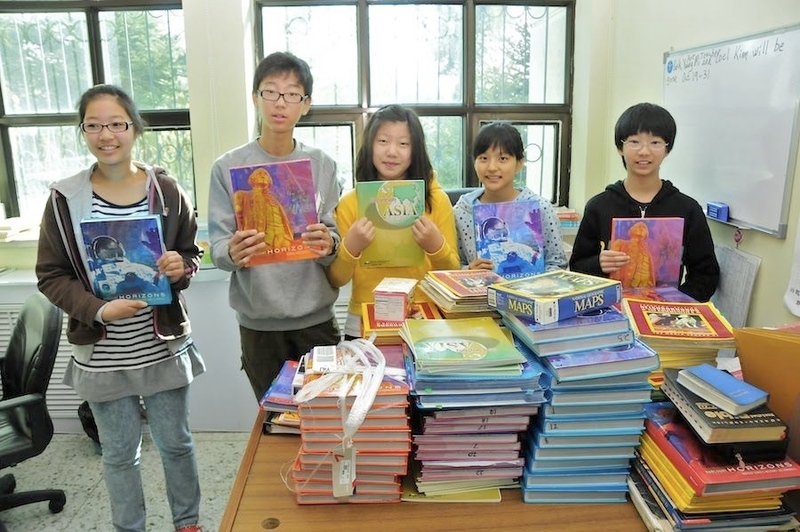 In the autumn of 2009, members of the Taejon Christian International school community were able to personally deliver textbooks requested through the Freedom Through Learning website. Normally, FTL resources are sent via post, but TCIS members had already planned to visit Yanji, China and they were willing to sacrifice a great deal of luggage capacity to deliver the much needed resources to Yanbian International Academy. The resources included history textbooks, civics textbooks and geography reference materials.